Small guns have been a trend for some time – popular for gun shops to sell and people to concealed carry. One of the big advantages of concealed carry small guns is that they are easily concealable, but don’t be fooled as small guns have some drawbacks. First, concealed carry small guns are hard to operate. Many people have a hard time locking the slide back on their small guns. Remember part of picking a good gun for concealed carry is that you can easily operate the controls. Keeping your hand away from the muzzle is another problem. When you operate the slide either to load or to clear a malfunction, remember not to put any part of your hand over the muzzle or you could possibly be missing a finger or get an extra hole in your hand. Many people who think they can not handle or conceal a mid to full-size gun are kidding themselves. Mid-sized guns are easy to learn how to conceal and are much easier to handle and shoot. 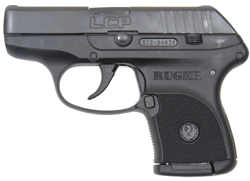 Many of these concealed carry small guns are hard to operate safely even by the best gun handlers. The other criteria for making a good choice in picking a handgun is that you can put shots on target when necessary. I don’t know about you, but these little handguns are not easy to shoot. The sight radius is short and many times the sights themselves are non-existent. The one last thing I will say about small guns is you will be tempted to put it in your pocket or purse naked (no holster). Bad idea!!!! All guns need to have the trigger guard and trigger protected. It is very unsafe not to do so. Pocket holsters have come a long way and will allow you to carry your hideaway safely and keep your finger off the trigger until ready to fire. All in all, little concealed carry small guns are at best hard to operate, hard to accurately shoot, and easy to hide. Concealed Carry Training on your schedule…. You make some valid points about smaller firearms designed for concealed carry, especially regarding the use of a holster. That should be a no-brainer as far as safety is concerned. but I think the key to effective and safe concealed carry is training and more training. As with anything else, it’s not going to get done right without practice and when you are potentially dealing with deadly force, it becomes imperative.